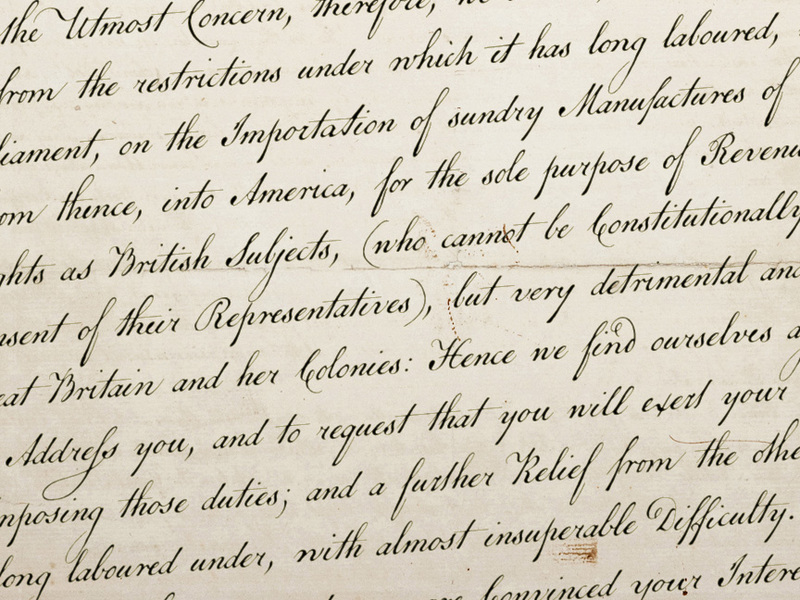 The 1765 Stamp Act ignited in American colonists simmering distrust of a distant British Parliament whose oppressive trade duties they deemed unfair assaults on their rights as English subjects. Before long, of course, this little dustup spawned The Boston Tea Party, the American Revolution, and the birth of the U. S. of A.but before Lexington and Concord, a group of Philadelphia merchants made one last-ditch call for commercial cooperation across the Atlantic. This futile appeal survives to this day on a three-page broadside, finely engrossed by a penman of the period and passed down through the generations of a family named Remsen. Remsen Script is an interpretation of that penman’s neat, formal cursivefrom its broad antique flourishes to its subtle unevenness and gently ragged strokes. Perfect for event announcements, fine product packaging, recreations of historical documents, or anywhere you wish to offer a whiff of a bygone era. OpenType features include alternate uppercase styles, scores of authentic ligatures, discretionary and contextual alternates, lining and old-style figures, ink blots, a few ornaments, and complete Central/Eastern European alphabets1,000 glyphs in all. US$39.